With the death of Kyuss, all the undead in the city turn to dust, while fiends and worms flee in fear and despair. Prince Zeech makes his way through the crowds that are cheering for the Heroes, fully armed, challenging one of them to a duel. They killed a god, so now he will best their champion, to prove he's still worthy of ruling Alhaster. The crowd is not happy, but Alandrovic accepts the challenge. The duel is quick and brutal, Zeech is brought to his knees, with Alandrovic's sword at his neck. "Kill me" he shouts "let me die with honor". But there's been too much death, too much blood spilled. Now it's the time for mercy. Alandrovic spares his life, and banishes him from Alhaster. And so the Heroes become the new rulers of Alhaster. Old friends come to visit, among them the archmage Manzorian, coming to deliver their monstrous pets: the huge pyrohydra, and the ferocious dire boar. A great feast is held, as the city of Alhaster celebrates the end of the tyranny of Zeech, and the destruction of Kyuss. From the highest balcony of the royal palace, the Heroes look down at the ruined city. Most of the buildings have been destroyed, and thousands have lost their lives. The great powers they used to destroy evil, they will now use to rebuild. After all this darkness, to forge a new bright future. The Heroes climb to the top of the ziggurat, where more Broodfiends await them, blocking their way to the base of the spire. A long lost ally returns to join the fray: Aelarion the elven sorcerer arrives riding a lightning, and brings his powerful magic to bear. The fiends are destroyed, and the Heroes arrive at the base of the Spire. There, they rapidly slaughter Maralee and her Kyuss knights, and then begin the long climb to the top of the spire. The sky darkens, powerful necromantic energy begin to pulse, and from the dark monolith in the center of the platform, Kyuss himself comes forth, terrible in his divine power. But the Heroes have fought long and hard to diminish his power, by destroying the Unlife Vortex, helping the people of Alhaster overcome their despair, and killing Lashonna. Yet, even weakened, Kyuss is a terrible foe. The Heroes throw at him all they have. Aelarion strikes repeatedly with a Sphere of Annihilation; Deadbolt slashes at him with his Mighty Axe of Wyrm Chopping; Jamhand pellets him with bolts of holy light, while keeping his companions alive; Alandrovic keeps smiting the Wormgod with his Sword of Aaqa; and Sengar, raging like a primordial storm, bashes Kyuss with his magical mace. Kyuss unleashes his necromantic powers, engulfing the Heroes in his worm-ridden form, crushing their bones with his executioner mace. But not even a god can stand between the Heroes and their fury, when finally Sengar smashes his mace one last time in the physical form of Kyuss, and shatters him, in an explosion of a million worms! The Age of Worms has been averted; Alhaster, and the whole world, are safe. The Heroes approach the ziggurat, the very eye of the divine storm that is destroying Alhaster. Inside the ziggurat, they face the many guardians placed by Lashonna in place to stop them. But vampires, devils, Kyuss knights, and not even the devilish daughter of Zeech herself, Hemriss the half-fiend, can stop the righteous fury of the Heroes. And so Lashonna makes her appearance, her huge dragon form soaring high outside of the ziggurat, her vampire fangs dripping blood, accompanied by a flock of erinyes devils. The Heroes face her on the side of the ziggurat, Deadbolt and Alandrovic flying to her with the power of their magical artefacts, while Sengar and Jamhand perform feats of incredible strength by jumping on her scaled form propelled by their pure grit! The battle seems to go bad for the Heroes, with the erinyes assaulting their minds, while Lashonna lays waste to their bodies with her terrible claws, and her cold breath. But the Gods of Light (and some of the Gods of Darkness) have not forgotten their champions, and by summoning the power of their divine patrons, the Heroes gather all they have, all their fury and willpower, until Deadbolt, with his Mighty Axe of Wyrm Chopping delivers the final blow to Lashonna! The erinyes are then rapidly dispatched, and the Heroes look up, to the top of the ziggurat, where Kyuss awaits them for the final battle. The Heroes visit the former manor of Lashonna, now wrecked by the destruction that has befallen the city. Among the ruins, they find Lashonna's former laboratory, containing a still functioning portal. When they activate the portal, they find themselves in the underground of Alhaster. The whole area is Lashonna's arcane sanctum, where together with the Avolakia's she has fond rituals to create the broodfiends, and several other arcane contraptions. When they arrive, they're immediately intercepted by a cabal of Kyuss liches, pelletting them with dark spells. The Heroes emerge victorious, and proceed to the next room. The vaulted chamber contains the Unlife Vortex, an arcane engine syphoning the power of countless souls to usher the resurrection of Kyuss. The Vortex is guarded by Avolakia ghosts, which the Heroes must defeat before solving the mystery presented by the contraption. Deadbolt, with his experience guarding arcane treasures, finds a way to send the machine into overload. As the Unlife Vortex implodes, the Heroes escape through the portal. But their troubles are not over. From the crater left by the implosion, huge overworms emerge, harbingers of Buldumech the Pit Fiend! As the archdevil flies out of the crater, the Heroes jump on his huge form to batter him down. An aerial fight takes place, until Buldumech manages to shake all the Heroes off, to plummet to the ground below into the maws of the overworms. 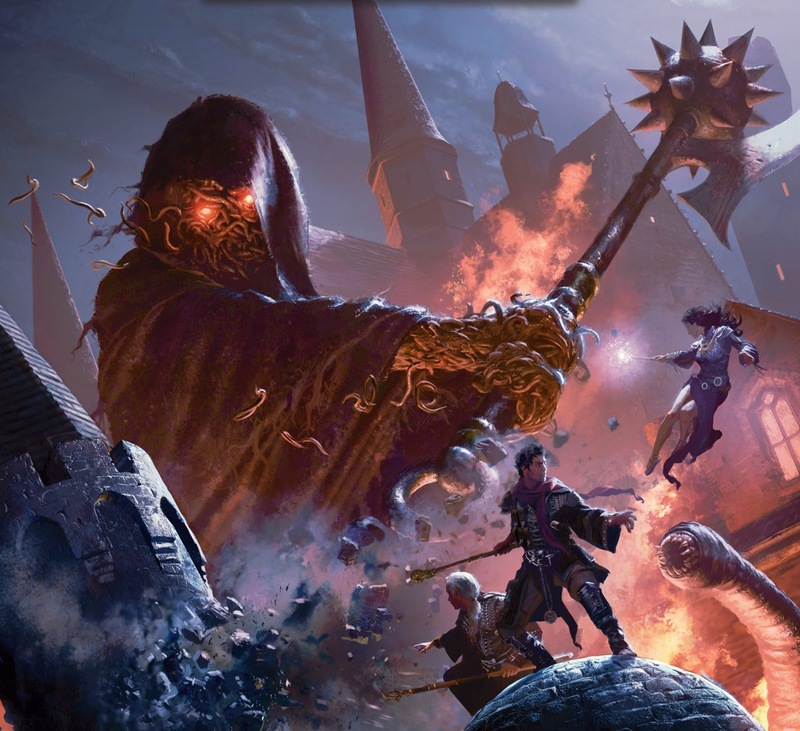 When the colossal vermins are destroyed, the Heroes focus their attacks on the fiend, until Sengar smashes his face with his magical mace, and sends him back to Hell. The Archmage Manzorian summons the Heroes to Magepoint, where he updates them on the current events. A horde of demons and worms has attacked the city of Alhaster, where the ziggurat to summon Kyuss has been completed, and the Wormgod is about to step into the world. 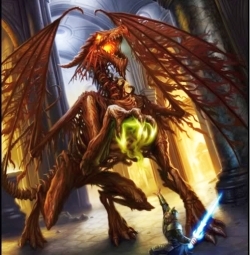 In order to weaken Kyuss before he fully manifests himself, the Heroes must fight the despair in Alhaster, destroy the Unlife Vortex that is syphoning souls to power the Wormgod, and kill his main apostle, Lashonna the traitorous dragon. 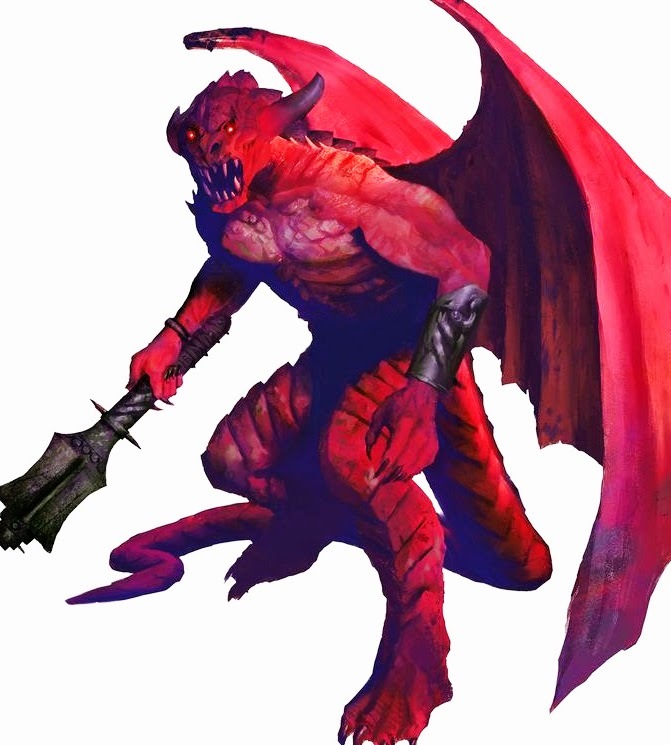 To help them, they receive an additional fragment of the Rod of Seven parts, and a scroll that will open a portal to a place called the Tomb of Horrors, where they can retrieve a powerful destructive artifact called the Sphere of Annihilation. Then Manzorian teleports the Heroes to Alhaster. The city has suffered greatly. Mobs run in panic and despair, trying to find safety; many buildings have been destroyed by the huge worms summoned by the ritual; clouds of poisonous green mist can be seen rising from many districts; in the distance, a huge tower grows out of the ziggurat, rising up to the heavens, where dark clouds gather and spiral. The Heroes must contend with the minions of Kyuss, among them overworms, Kyuss knights, liches, and vampires, while at the same time protecting the citizens of Alhaster to make sure they do not fall into despair. As a sign of their prowess, they enter one of the poisonous clouds, finding out the source of this plague: a huge broodfiend spreading acid and disease in the streets of Alhaster. The Heroes destroy the creature, greatly bolstering the moral of the populace. But the demon is only one of the many horrors unleashed upon the city. The Heroes gather their strength, and look for the Unlife Vortex and Lashonna. Before exploring the pit, the Heroes decide to check the other rooms on the floor, to make sure nothing attacks them on their way back. In finely appointed rooms, they find Mahuudril, a noblewoman they met weeks before at Prince Zeech feast. She tries to turn the Heroes to Dragotha's side, but her attempts at diplomacy fail. When the Heroes attack her, she assumes her true form, that of an Avolakia high-priest. Having killed Mahuudril, the Heroes complete their exploration, and then go back to the pit. They soon realize that the magic of the pit allows them to float up or down the tunnel. With millions of green worms infesting the lower caverns, the Heroes decide to go up, where they find a tunnel guarded by a trio of Nightcrawlers. But not even these creatures can stop them, as they make their way to a huge cavern. There, a broken ziggurat bleeding the green divine essence of Kyuss awaits; perched on the ziggurat is Dragotha himself, the ancient dracolich and first servant of Kyuss. With the help of the ghost of Balakarde, the Heroes throw themselves at the fearsome undead and destroy him. With Dragotha dead, Balakarde thanks the Heroes for freeing his soul, and departs. But the Heroes have no time to linger and enjoy their victory: Manzorian contacts them with a spell, and urges them to travel to him immediately. While they were busy fighting Dragotha and his minions, the Age of Worms has begun! After defeating the wyvern and its dark dwarf rider, the Heroes approach the Tabernacle of Worms. When opening the double doors of the temple, they summon a huge overworm that tries to stop them. But there's no stopping the Heroes, as they slaughter the beast, and enter the compound. There they face and destroy disgusting avolakia priests, unholy servants of Kyuss. Delving further, they reach a huge cave, infested with worms and green mist. There they're ambushed by a dragonworm, one more aberrant creation of the cult of worms. The Heroes keep their wits about them, and slaughter the monster.